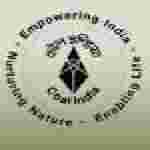 Tamil Nadu CCI Electrician recruitment 2016-17 apply for 20 posts: Cement Corporation of India limited (CCI) welcomes application for the position of 20 electrician, Instrument Mechanic, junior pharmacist, diesel Mechanic, mining ate, junior Blaster, Operator, miller, junior engineer. Candidates who completed their B.Sc., Diploma, ITI, +2 class, matric is a good opportunity.The individuals who are the occupation seekers searching for govt employments in Tamil Nadu this is the best chance to apply. Competitors read the official notification then read all the guidelines and miners precisely then apply before the last date online application got. All the interested and eligible candidates can apply before 10th August 2016. Candidates Age Limit: The age of the candidate should not be less than 18 years and should not be more than 35 years. Academic qualification details: Candidates should have ITI with 3 year or +2 class with 4 year or matric with 6 year relevant experience. Academic qualification details: Candidates should have ITI with 3 year or +2 class with 4 year or matric with 6 year relevant experience in installing / maintaining and overhauling of pneumatic mechanical / electrical and electronic. Details of Fee particulars: All the interested and eligible candidates are need to pay Rs 200/- through Demand draft payable to cement corporation of India limited, Cement corporation of India limited, Rajban cement factory, Rajban payable at T=Rajban. Schedule caste category candidates (SC) / schedule tribe category candidates (ST) are exempted from application fee. Process of applying for the job: Candidates may apply in prescribed application form along with details of certificates with supporting documents send to the HOD (P&A), cement corporation of India limited, A Government of India Enterprise Tandur cement factory, PO, CCI Tandur, Ranga Reddy, Telangana, PIN:- 501158 on or before 10th August 2016. Important Dates: All the interested and eligible candidates can apply before 10th August 2016.